When Metrojet Flight 9268, carrying 219 Russians, disintegrated over the Sinai Peninsula -- a volatile region currently in a state of proto-war between Egyptian Army Forces and militants affiliated with the Islamic State -- the world immediately suspected that the attack was carried out by radical Sunni terrorists angry at Russia's intervention in Syria in defense of the Alawite-led regime of President Bashar al-Assad. In recent weeks, however, the Russian government has become increasingly convinced that the atrocity was facilitated not with help from bribed Egyptian officials, but rather with the assistance of Turkish intelligence (MIT) at the behest of President Erdogan, who is furious that the Russian air force has concentrated on bombing Sunni radicals and not Kurdish groups affiliated with separatist elements in Turkey. 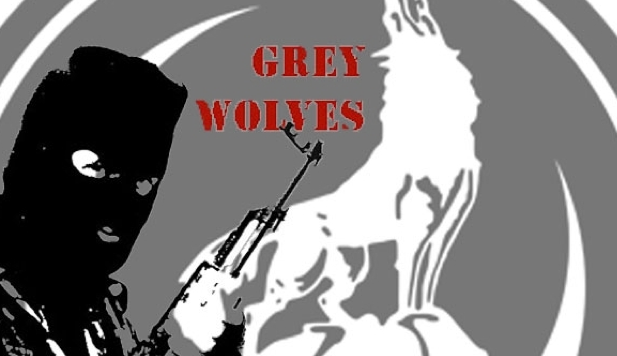 According to a source in a Western intelligence agency, the FSB -- formerly the KGB -- has publicly pinned blame for the attack against Metrojet Flight 9268 on the Grey Wolves -- a pan-Turkish group formed in the 1960s that has in the past "participated in combat operations in the southern Russian republic of Chechnya, organizing transfer of weapons into the region" -- but in private, FSB agents are convinced that the Grey Wolves are a front organization for the MIT. The baggage handler suspected of involvement in the downing of Metrojet Flight 9268 was last seen in Turkey, and our source is convinced that his disappearance in Turkey is proof that the MIT is shielding the Grey Wolves as they plan a horrendous false-flag attack against Russia or NATO to provoke tension between the two rivals, or to cause all-out war. The rift between Ankara and Moscow was laid bare last November when a Russian jet was shot down by the bellicose regime in Turkey, forcing the pilots to parachute over Syrian territory controlled by ethnic Turkmen affiliated to the Grey Wolves. Although the 2,000 Turkmen fighters in Syria are mostly loyal to the Grey Wolves or other "moderate" Sunni militias, Bloomberg reported that "some are said to be close to al-Nusra Front, al-Qaeda’s local affiliate in Syria." It has long been reported that Turkey supported the Islamic State by refusing to close down the border and by buying its blood oil, but information that it is also supporting a separatist Al-Qaeda proxy has been suppressed. While terror wreaks havoc in Syria, the Erdogan regime is alleged to have grown extremely wealthy from the smuggling of Islamic State oil, an operation carried out with the assistance of the Grey Wolves. The wealth accumulated by the Grey Wolves while serving as business proxies for the Islamic State and President Erdogan means that their influence in the highest corridors of the Turkish government is now almost unshakable. In recent weeks, however, Russian and Syrian regime advances have crippled the supply lines to Turkey that Sunni rebel groups were using to pack the coffers of the Grey Wolves in exchange for weapons. Facing a total breakdown of the current political and financial order, the MIT has set about the process of sowing mass desperation within the millions-strong refugee population in Turkey, as well as allowing a large number of refugees to amass in desperation near Aleppo -- the former Syrian commercial hub currently facing encirclement by Russian and Syrian regime forces in what promises to be the biggest blow to the rebellion in the five-year-long civil war. Out of the coming desperation, a spectacular attack will draw Russia and NATO ever closer to nuclear war. One objective can be fully ascertained at this point: neither the Grey Wolves nor the Erdogan regime are happy to see the Islamic State oil spigot stop. Combined with the prospect of an independent Kurdish state that will inspire separatist tension in Turkey, President Erdogan simply may feel that he has no chance but to act preemptively and secretly before his legacy becomes that of the man who allowed the Kurds to break Turkey apart. We may soon see an attack emanating from Turkey on South-Western Russian territory that escalates into a full-blown kinetic fracas, annihilating countless innocent souls.